Get the game from itch.io! 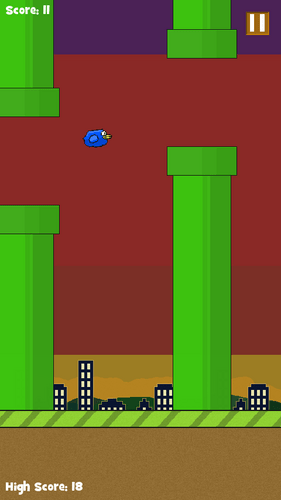 Presenting my #FlappyJam entry, where game developers were tasked to make clones, remakes, demakes or simply games inspired by the mobile game phenomenon, Flappy Bird. As detailed in a blog post, about 95% of this game was developed on the weekend of February 8th – 9th as a mini-challenge after talking about the game with some work colleagues on one night out. 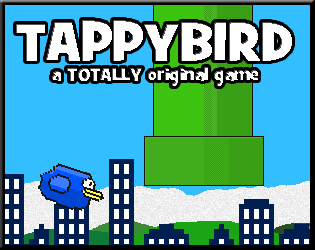 I held out of releasing it for almost three weeks because of the amount of news regarding Flappy Bird being taken down, and the negative reception there after. 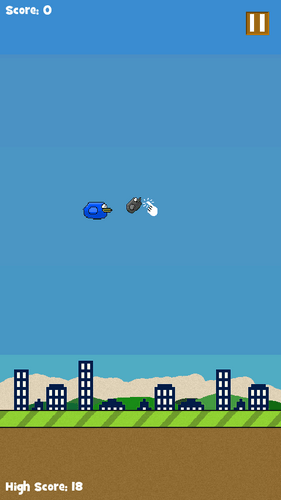 Obviously, the joke with the title is that it’s a Flappy Bird clone. 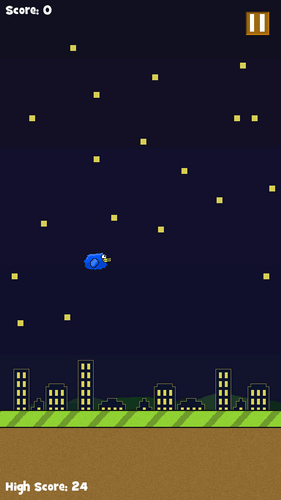 But there are some minor additions to the game, which are listed on the itch.io page. The background transitions from day to night and back, instead of randomly switching between backgrounds on each playthrough. 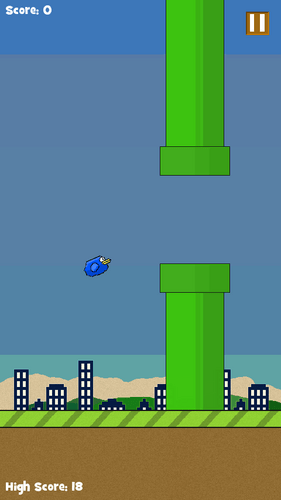 The wing animation is coded, instead of being part of the sprite, meaning the wing flaps when you tap. There is both mouse and keyboard controls, and since this was developed on LibGDX, then this could easily be ported onto Android and iOS, but I’m porting this game to neither so it’s kind of pointless.